The CALECIM brand of professional-grade skincare products comprises treatments aimed at restoring skin health and improving complexion. Made by the Singaporean-based biotech company, CellResearch Corporation, the key ingredient that sets CALECIM products apart from other skincare products is its stem-cell derived, proprietary Rejuvenating Conditioned Media. This physiologically balanced complex of cytokines, cell signaling and growth factors as well as other proteins, is harvested from the secretions of cultured umbilical cord lining stem cells. This, together with specifically added ingredients such as hyaluronic acid, consolidated peptides or glycoproteins, fibronectin, albumin and soluble collagen, help to accelerate skin rejuvenation healing and stimulate new skin cell growth. By restoring the skin’s youthful cell cycle and encouraging cell proliferation, aged and dehydrated skin can be rapidly replaced with healthy, radiant skin. The CALECIM product line contains three products: CALECIM Professional Multi-Action Cream, CALECIM Professional Restorative Hydration Cream and CALECIM Professional Serum. 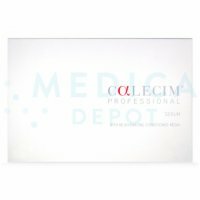 CALECIM products are suitable both for professional use after an aesthetic procedure and for at-home maintenance making it a great complimentary product you can offer to your patients. 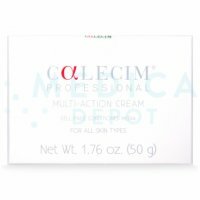 CALECIM Professional Serum can be used immediately after an aesthetic procedure to calm redness and irritation, and use should be continued in the ensuring days post-treatment. 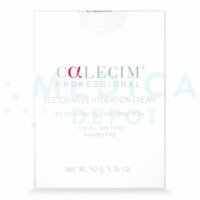 CALECIM Professional Multi-Action Cream and CALECIM Professional Restorative Hydration cream can be used regularly as part of a daily routine, after cleansing and toning, to produce benefits in as little as 2 weeks, giving their best results in 3 months. We can help you stay a competitive business with our wholesale prices on Calecim products. Don't bother looking for deals on bogus sites or sites like Amazon. The sale and purchase of Calecim products is reserved for licensed healthcare professionals, so avoid unnecessary risks and order from us. We are committed to help you cut costs by offering the best prices on Calecim products. Let us know if you find a cheaper price and we will do our best to meet or beat it. If you are looking for an even lower price and interested in bulk orders, contact us. We can prepared an individual price offering to other wholesale distributors.